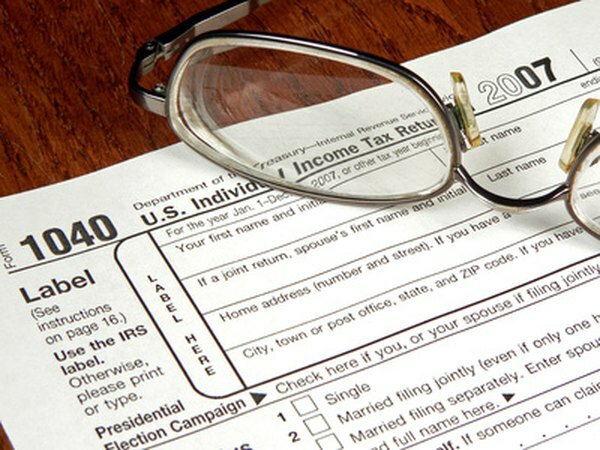 You must use Form 1040 to deduct unreimbursed job-related expenses. 3. Do You Need a Receipt for a Taxi for Deduction? If your boss makes you pay out of pocket for employee expenses, you might not get reimbursed by your employer, but the Internal Revenue Service might allow you to write some of them off on your tax return. To claim the deduction, the costs must be "ordinary and necessary" to your employment, and you have to itemize deductions on your taxes. To be deductible, the unreimbursed expenses must be ordinary and necessary for your employment. IRS Publication 529 defines "ordinary" as being commonly accepted in your business and "necessary" as being appropriate and helpful but not necessarily required. In addition, you must pay the expense during the year that you want to take the deduction. For example, if you're going on a business trip and you made hotel reservations that you paid for in advance in December 2013 but you didn't take the trip until January 2014, you would deduct the expenses on your 2013 return. Examples of unreimbursed job-related expenses include dues you pay to professional organizations, licensing fees and subscriptions to professional journals. You also can deduct work-related education, malpractice insurance premiums and laboratory breakage fees. If you are required to wear a uniform for work, you can only deduct it if it is not suitable to be worn outside of work. For example, a bear costume for a mascot or special safety goggles for a scientist could be deducted because you can't wear them elsewhere, but a suit and tie couldn't be deducted because you could wear them elsewhere. The tax code classifies unreimbursed employee expenses as a miscellaneous deduction subject to the 2 percent of adjusted gross income threshold. This means that only the portion of your unreimbursed job expenses that exceed 2 percnt of your adjusted gross income can be deducted. For example, if your adjusted gross income is $80,000 and you have $2,000 of unreimbursed job expenses, you can deduct $400. You must use Schedule A and Form 1040 because unreimbursed job expenses are an itemized deduction. The total amount of your expenses before accounting for the threshold goes on line 21. However, you also have to complete Form 2106 if you're claiming any travel, transportation, food or entertainment expenses or if your employer reimbursed you for any of your expenses. If you're claiming mileage on your own car and are using the standard mileage rate, and your employer didn't reimburse you for any expenses, you can use Form 2106-EZ instead. How to Determine if a Scholarship Is Tax-Free?